Decided to pop into Boots today for a quick look around and sadly the one in town doesn't have the greatest collection of makeup. 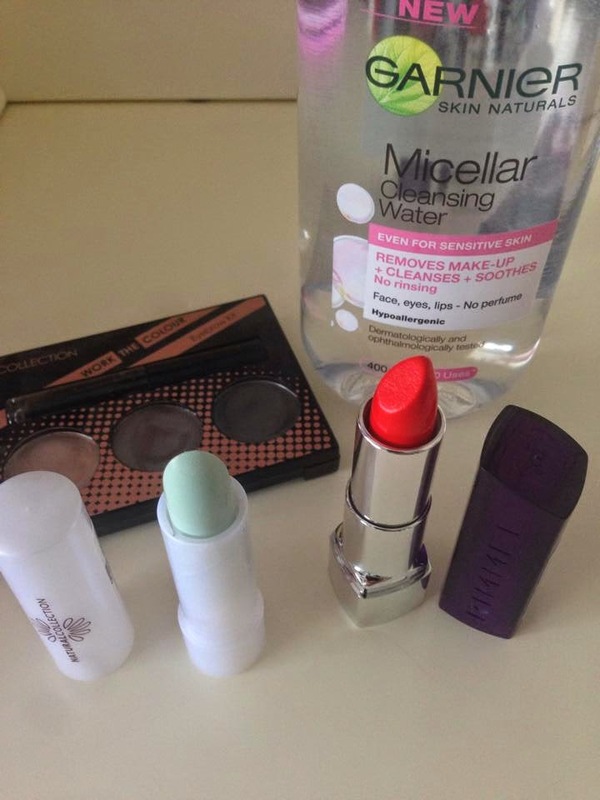 However I did pick up 4 things that I have been wanting to try so why not share them here. 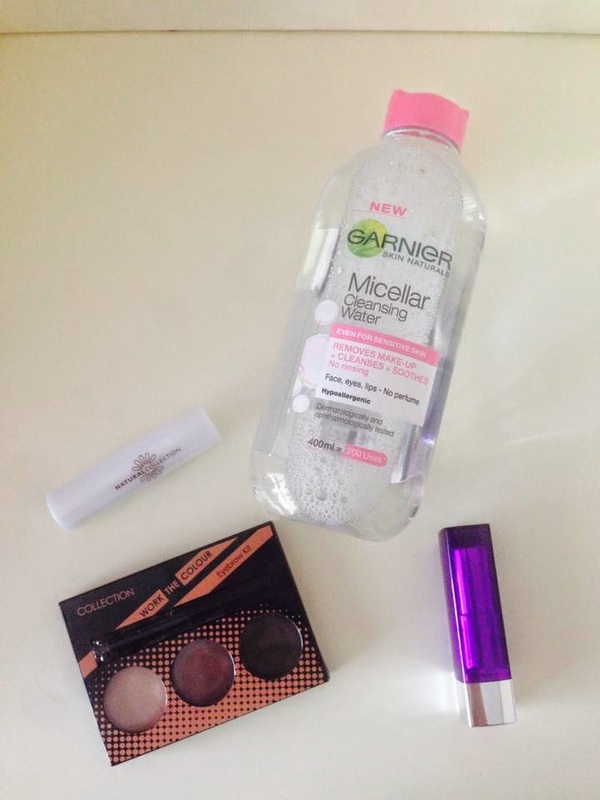 So I finally picked up the Garnier Micellar Cleansing Water and oh my god, I'm already in love with this product after only using it tonight to take off my make up! It feels so refreshing and is so gentle on the skin. I've ran out of my Gosh brow powder so decided to try one by Collection, reason being it has such a dark colour in the palette like it is legit almost black and I adore dark eyebrows! 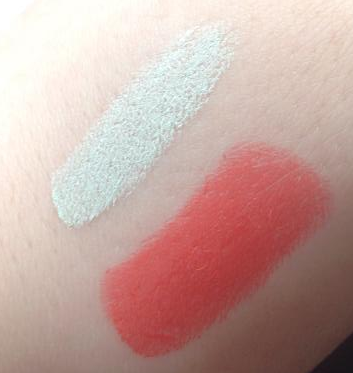 I also picked up a green neutralizer stick by Natural Collection. I have high colouration in my cheeks which I absolutely hate and any neutralizers I have tried so far have not worked for me so I decided to give this one a try. And finally I picked up a Rimmel Moisture Renew Lipstick in the colour 'In Love With Ginger' 660. Which is such a gorgeous colour so I couldn't resist! So after being so proud of myself for not breaking my bank account I came home where I found myself deciding to purchase some new makeup brushes because...its my birthday next month so why not treat myself to an early present? I haven't come up with a good excuse yet to be honest. But however these beauties will soon be mine, I shall now sit behind my front door staring at the postbox until the postman delivers them. 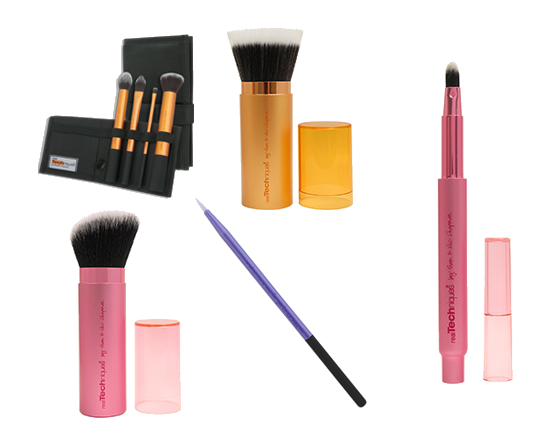 I adore the Real Technique Brushes and have recently found out they're so much cheaper to buy on the official website than to buy in any Boots stores! I bought all of the above for the same price I paid for the Starter Set that I purchased in Boots. So if you're thinking of buying any of the Real Technique brushes I would recommend doing so online as you save so much! And finally I treated myself to one more set that I'm so excited to own and just be able to stare at their beauty! 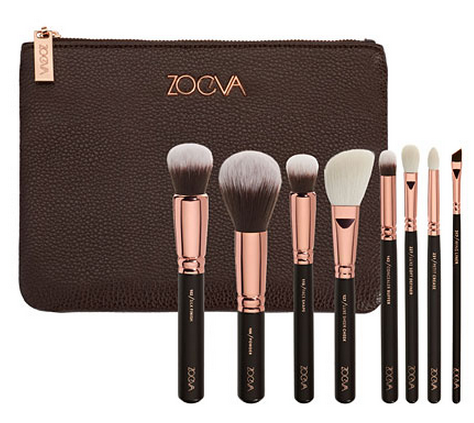 Yes I purchased the Rose Gold edition Zoeva brushes and I honestly don't think I've ever been so excited to receive a package in my life. Firstly these are so beautiful and their rose gold which I adore! I've read so many good reviews on these brushes that I just had to have my own set . So now I've broken my bank account and need someone to take my card away from me. Without a doubt I will do a post when all these brushes arrive. I'm so excited! Have you tried any of these products, what's your opinion on them? I would just say that you have got the best item in reasonable price. It is really rare to find such good items in such good prices nowadays. Keep bringing more items as well.